I believe in the power of art. I believe it can be used as a tool for many things. As well as story telling, -history- telling... Transporting audiences to different time frames and game changing situations. La Jolla Playhouse gives us just that with a limited engagement of 'Hershey Felder as Irving Berlin'. Playing now until January 3rd. Not knowing what to expect, and for sure not knowing how many hits Berlin had written, my heart raced. A one man show on the stage yet, countless voices and interpretations in the portrayal. Felder accompanied by his piano, masterfully tells the story from beginning to end. Hershey Felder in La Jolla Playhouse’s presentation of HERSHEY FELDER AS IRVING BERLIN. Photo by Eighty Eight Entertainment. Israel Isidore Baline was born in Belarus in 1888. Fleeing to New York with his parents and six siblings, life continued to hit hard, and Israel had to find work at thirteen years old to help support his family. He delivered newspapers, he also knew how to sing and began singing with other boys in saloons. He continued to work hard and set specific goals for his life. 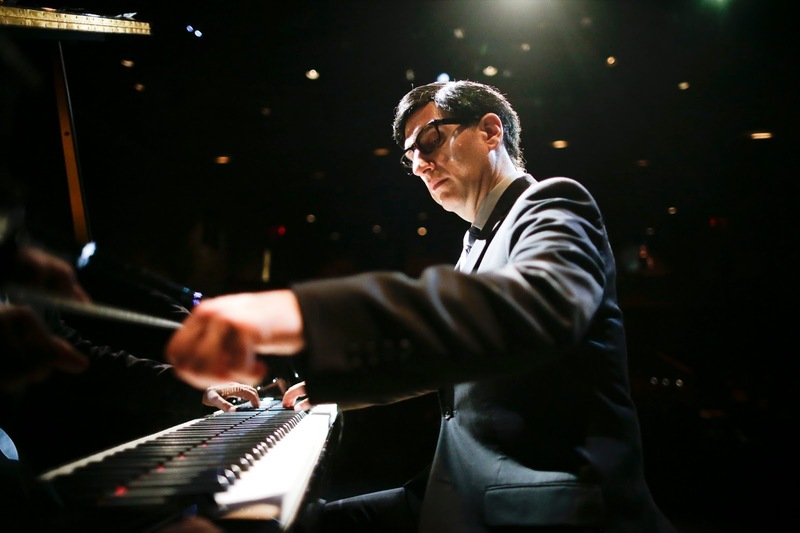 A name change came about to sound more 'American', and that is how Irving Berlin was born. As I saw Hershey narrate the story and illustrate in his piano, I could not help but think of Mona Golabek and “The Pianist of Willesden Lane.” It seemed to be a very familiar setting with the interaction between dialogue and piano. 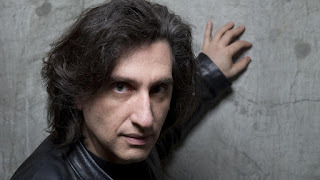 Then I remembered, Hershey Felder directed this show! It seems he likes that style, also having Beethoven and Gershwin in his repertoire. Well, it works. The Felder portrayal of Irving Berlin is fantastic. Paused, detailed and melodically told in less then two hours. Crunching 100+ hits in that frame, and it still does not feel rushed, you can easily see Director Trevor Hay's notes follow the text. This presentation by Eighty Eight Entertainment integrated by Eva Price, Samantha F. Voxakis and Karen Racanelli, shows how delicately it was put together. 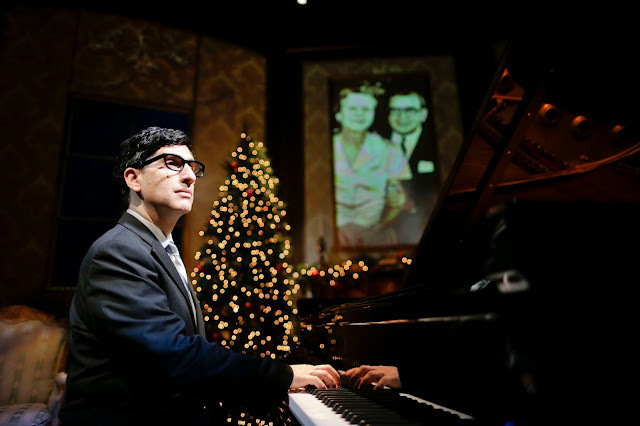 The Scenic Design by Hershey Felder and Trevor Hay, displays a living room type of stage, with a piano and Christmas decorations. One of the frames used as decor for the 'living space' serves as a screen to project various events that took place along the decades. Berlin's relationship with Fred Astaire, his two marriages and how he lasted 65 years married to his second (way younger bride) Ellin Mackay. Lighting Design is by Richard Norwood, Projection Design by Andrew Wilder & Lawrence Siefert who really gave us great, amazing, historical archives that mesh the black and white perfectly into the live narration, with crisp/clear sound by Line Producer/Sound Designer Erik Carstense. Practically the whole performance is interactive. Irving invites people in the house to sing along, and I do not know about the other performances but this one, sounded great. Everybody gets so emotional and nostalgic, the vibe and the feeling spread across the room is the cherry on top. A magical, sweet added value. A Fella with an Umbrella, Count your blessings (Instead of Sheep), God Bless America, Puttin' on the Ritz, There's No Business Like Show Business, What'll I Do?, the emblematic White Christmas and many many more are part of the set list that you will get to enjoy live, flawlessly performed by Hershey Felder. There was not a single occupied seat at the Mandell Weiss Theatre at the end of the performance. Everybody stood up in tears and applause. No exaggeration, no sugar coat. Experience it for yourself and let me know *wink*. Playing until Sunday January 3rd. Tickets start at 20 dollars based on availability and select performances.